Bargain hunters and fans of vintage items may want to hit up these six San Diego swap meets and thrift stores in pursuit of rare deals on clothes, furniture, home goods, gifts, and more. Discover a hodgepodge of items at big events such as Kobey’s Swap Meet or the South Bay Drive-In Theaters, or narrow your sights on vintage treasures at spots such as the San Diego Vintage Flea Market or Frock You. Kobey’s Swap Meet has been running for over 30 years, and it’s one of the larger markets around. Shoppers can find just about everything here, from electronics to clothes and furniture, though some rummaging may be required to find that perfect gem. People are advised to come early and bring cash. Hours are Friday through Sunday from 7 a.m. to 3 p.m., and admission is $1 on Fridays and $2 on the weekends. Children 11 and under are free. 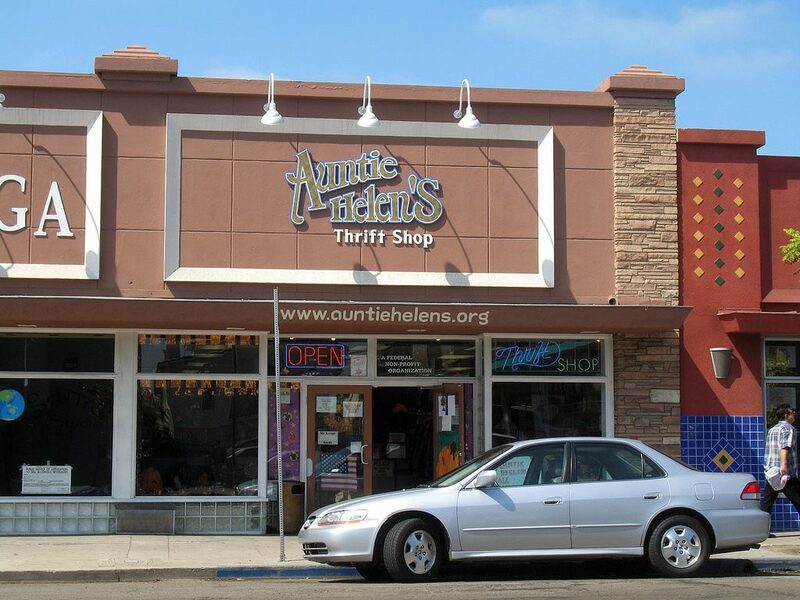 Auntie Helen’s opened in 1988, originally offering free laundry services to those with HIV and AIDS. Today, customers can find clothing, accessories, housewares, appliances, furniture, electronics, and décor at affordable prices. Proceeds from the shop continue to support services for HIV/AIDS patients, the homeless, and those in need. South Bay Drive-In Theaters is open daily, offering first-run double features for a mere $9/adult and just a buck for kids ages five to nine. FM transmitters are used to pick up the audio broadcast, and snacks are available. On Wednesdays, Saturdays, and Sundays from 6 a.m. to 2 p.m., the venue hosts a swap meet featuring a variety of merchandise from over 300 vendors. 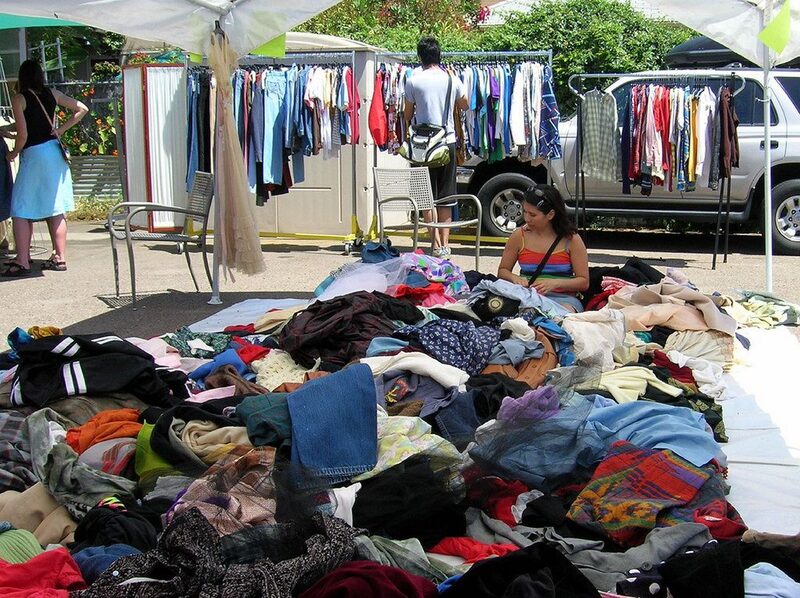 Admission to the swap meet is $1 on Wednesdays or 50 cents on the weekends. 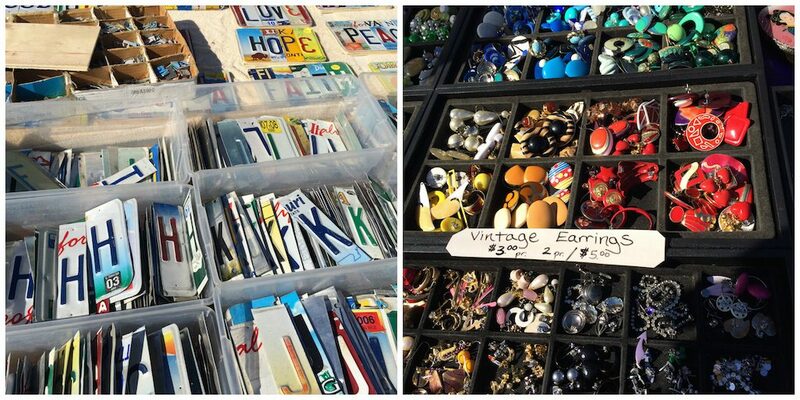 Though it only occurs about once a month or so, this outdoor flea market is where vintage lovers can peruse the wares of dozens of vendors for clothes, furniture, housewares, décor, and more. Items typically range from the early 1900s through to the 1980s, though the market also welcomes “vintage-inspired” merchandise including rockabilly or pinup-style clothing and tiki items. Free admission. Newcomer Honest Thrift is unique; in addition to stocking a curated collection of clothing, accessories, and housewares, owner Jess also enjoys refurbishing furniture. She will not only spruce up things found in the shop but pieces that customers bring in as well. A portion of the proceeds benefits Girls Rising Above Child Exploitation (GRACE), a nonprofit that works to rescue trafficked children. Be sure to say hi to Riker, the shop dog, should you swing by.